Paul Tartarilla, APRN, is a registered nurse practitioner with the White-Wilson Pediatric Clinic in Fort Walton Beach, Florida. Mr. Tartarilla received his Pediatric Nurse Practitioner degree from the School of Health Care Sciences at Sheppard Air Force Base in Texas. Mr. Tartarilla is originally from New York, and relocated to Florida in 1996. 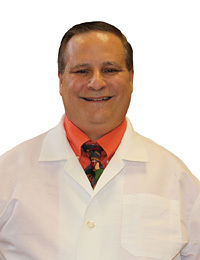 He works along side Fort Walton Beach pediatricians Dr. John Chiles, Dr. Douglas Rigby, Dr. Robert Shelton and Dr. Irina Smith to provide pediatric care to patients 18 and younger. During his free time, he enjoys photography, woodworking and spending time with his six children.